You need to be a member of Before I Leave to add comments! The I’ll Sing this Song project will continue its journey online. Taking the form of an iPad app and digital resource that will make the very most of the NTW online community. A tool kit for other groups, choirs and schools to follow in our path, to undertake the process and engage with the subject. A resource not only to help those living with dementia, but for a population in need of a greater understanding of the condition. Users will be encouraged to interact with the material already created and participate themselves by uploading videos and images of their own sessions, performances and memories. 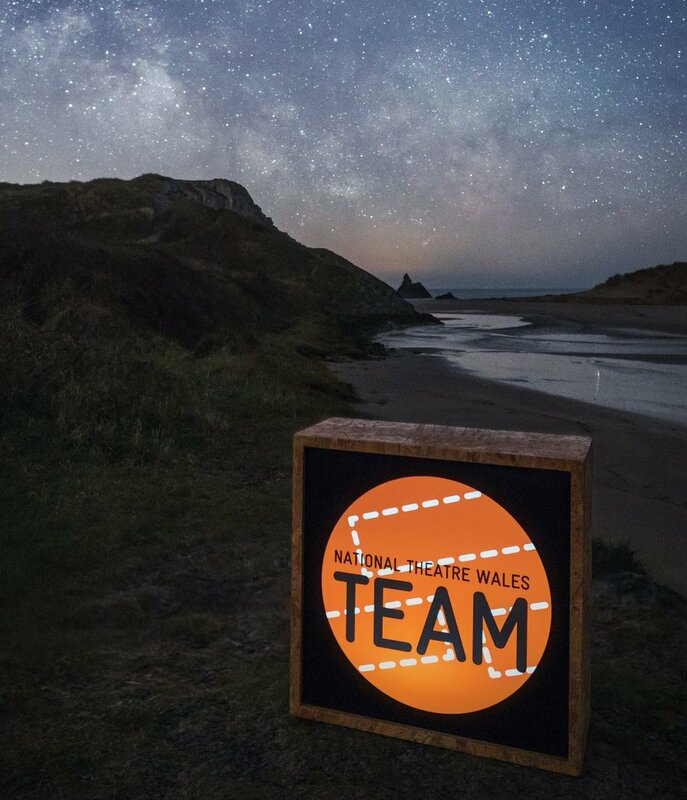 This contributor content, from all over Wales, the UK and beyond, will then in turn help encourage others. Amplifying our voice, resonating as one, making further connections and building even stronger links together; holding on tight to our past and our present. Those words, written by our friends at Ty Hapus for the chorus to our song, sum it up perfectly. From the very first session people were so welcoming, happy to share their stories and their music with us, and generous in allowing us to share ours in return. There’s been a lot of laughter along the way, many cups of tea, tears of joy and some of remembrance. When reviewing the words Patrick had worked with people writing, it became clear to us that these needed to become songs. I spent a very long weekend struggling to come up with music for the first song. I couldn’t get anything to work. Nothing sounded right. Then late Sunday night, exhausted, I stopped trying. I sat back and thought about the people who had written those fantastic words, the characters in the group and the fun we were having in our sessions. The music all but wrote itself after that. Music is incredibly powerful. It bypasses the intellect and heads straight for the emotions. We should never underestimate what a good sing can do for our wellbeing. I have been constantly reminded of this throughout the ‘I’ll Sing this Song’ project. Thank you to all the group members, their families, volunteers and staff for this valuable lesson. It’s also been much more than reminiscing about the past; it’s been about really making the most of the present, connecting with each other through song and sharing our songs with pride. This was the opening line to an email I received from Patrick late one night, and this is honestly where the project started. In the email, Patrick gave us a framework for a project, which would eventually turn into ‘I’ll Sing this Song’. A week or so before that, Patrick, my colleague Mawgaine and I had spent a day together talking about possibilities, and he had taken us to the Six Bells mining memorial for inspiration. We all realised that Before I Leave gave us a unique opportunity to create something that could be much bigger than the show itself. Patrick’s idea was perfect, Mawgaine wrote an application that summed it up brilliantly, and The Baring Foundation backed us. BEFORE I LEAVE’S WRITER PATRICK JONES HAS JOINED FORCES WITH NTW TEAM, FILMMAKER KYM EPTON, PHOTOGRAPHER AND DESIGNER PAUL THOMAS AND MUSICIAN BEN TINNISWOOD TO TEACH THREE CHOIRS OF PEOPLE LIVING WITH DEMENTIA TO SING BEFORE I LEAVE, THE BRAND NEW SONG NICKY WIRE AND JAMES DEAN BRADFIELD OF THE MANIC STREET PREACHERS HAVE WRITTEN FOR THE PRODUCTION. The project, called I’ll Sing this Song, will result in a short film about the experiences of the choirs from Wrexham, Barry and Brecon, and a very special digital resource for choirs across the country to download and use. The interactive online life of the project will open it up to many more people, and draw on the profiles of Patrick & NTW to raise awareness and understanding of dementia. Patrick will continue to work with all three choirs after the production has closed, and help them to explore music of their choice. WEDI EI HYSGRIFENNU AR GYFER Y CYNHYRCHIAD. Bydd y prosiect, o’r enw I’ll Sing This Song, yn arwain at ffilm fer am brofiadau’r corau o Wrecsam, y Barri ac Aberhonddu, ac adnodd digidol arbennig iawn i gorau ledled y wlad i’w lawrlwytho a’i ddefnyddio. Bydd bywyd rhyngweithiol, ar-lein y prosiect yn ei agor i lawer mwy o bobl, ac yn defnyddio proffiliau Patrick a National Theatre Wales i godi ymwybyddiaeth a dealltwriaeth o ddementia. Bydd Patrick yn parhau i weithio gyda’r tri chôr ar ôl i’r cynhyrchiad gau, a’u helpu i archwilio cerddoriaeth o’u dewis.